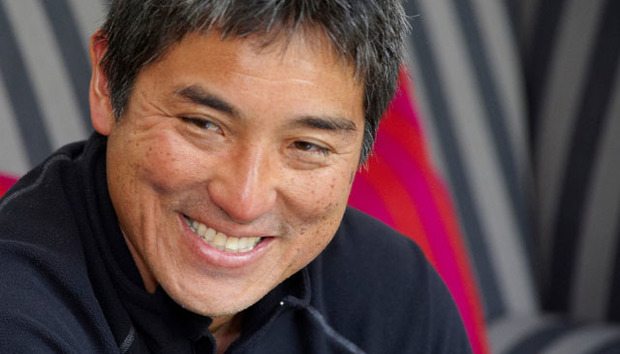 Guy Kawasaki is a legend of technology marketing. Hawaii-born, he got his first big break when he was hired by Apple in 1983 and became the company’s ‘chief evangelist’ for four years. Later he became a serial entrepreneur, writer, public speaker, investor, consultant and pundit. He has seen at first hand the birth of a world-changing business sector that is personal computing. On a personal note, my first connection with Kawasaki came when I wrote a throwaway tabloid item suggesting that his rumour-mill website, Truemors, was the world’s worst ever website, throwing in a couple of gratuitous insults to boot. To his credit, Kawasaki took my nonsense on the chin, laughed it off and even used it to garner attention. Q. We got off to a funny start when I wrote that piece about Truemors. What did you think when you read it? A. Honestly, I don’t even remember the details. I vaguely remember you getting it all wrong. :-) Because I worked at Apple, I learned not to take anything personally and to leverage the good stuff and ignore the bad stuff. Let’s go all the way back. How did you get your start at Apple and at what point did you think ‘wow, I have really fallen on my feet here’? I got my start at Apple purely because of nepotism: my college roommate hired me despite a blatant lack of qualifications in terms of both education and experience. I learned a valuable lesson: it doesn’t matter how you get in. It matters what you do after you get in. I don’t know what “fallen on my feet” means. Is it a good or bad thing? If you’re asking when I knew that Macintosh was awesome, it was in the first 30 seconds. My roommate, Mike Boich, showed me MacPaint and MacWrite, and the clouds parted and angels started to sing. It’s not “disconcerting.” It’s amusing more than anything else. Most experts on Apple can’t separate causation from correlation and vision from luck. Apple and Steve are the exceptions to many rules. One can definitely fail applying the lessons of Apple. How much did you know about marketing when you started at Apple? I knew lot about marketing from an academic point of view because I majored in marketing at UCLA, but not much from a practical point of view. What I did know about lot about was sales because before Apple I worked for a fine-jewellery manufacturer in Los Angeles for five years. The jewellery business was much tougher than computers, so I had to really learn how to sell to survive. Tell me a little bit about what worked and what didn’t. In a sense, the totality of Macintosh didn’t work because it only achieved five to 10 per cent market share. We really thought we’d achieve 90 per cent market share. The crucial variable that we did not anticipate is how difficult it was to overcome the inertia of people buying their operating system from Microsoft. They were unwilling to switch companies to get a better operating system. What did work is that Macintosh, as a product, captured the hearts and minds of millions of people even though Windows captured the desktops and wallets of much more people. I live a charmed life. I’m not a mogul, but I’m not insufferable either — and the two seem to be coupled. What’s brought me my greatest joy is my kids and wife. Writing is absolutely cathartic for me, and I adore social media. Going back to Apple for a second bite of the cherry/Apple in 1995 as Apple Fellow must have been an unusual, even emotional event. How did that unfold? Dan Eilers, then an Apple bigwig, asked me to come back to preserve the Macintosh cult and the “Macintosh Way”, if you will. I loved it. It was great to be part of the team that kept Apple going in its darkest days. It was hand-to-hand marketing to keep people excited about Macintosh. Do you have any grand conclusions after this lifetime in the digital world and how a person might map a career through that? My conclusions aren’t grand, but they are effective. First, “just get in.” That is, just get into a company that makes a product that you love. Don’t worry about the “perfect job” because there will be plenty of opportunities. Second, don’t ask customers to do something that you wouldn’t do — assuming you aren’t a psychopath. This is a great test for product design, sales, and customer service. Third, whitespace is good. Maybe I was around Steve too much, but I love whitespace in all designs. I hate cluttered designs of any kind. Marketing is obviously pretty sophisticated today. What excites you most about the opportunities available to CMOs and others? Social media is the best thing that ever happened to marketing. It’s fast, free, and ubiquitous. No one really knows how it works, so there’s a lot of opportunity and a lot of forgiveness for when you blow it. Back in the last century, I could use a phone (land-based), fax and travel to evangelise stuff. Now I can use Google+, Facebook, Twitter, Pinterest, blogging, video chats, and teleconferencing. My arsenal is 100 times more powerful than what Dale Carnegie could tap. There’s a lot of talk about CMOs in the future spending more on IT than CIOs. Do you buy that concept? I believe it will happen, but that doesn’t make it right or the way things should go. Too much money is worse than too little money when it comes to marketing because you study the problem too much, as opposed to learning by experimenting. You also hire outside agencies that put 10 people into a war room just to search for tweets and take 45 days to compose a post. In other words, you abdicate your marketing to agencies full of people who are experts in things like social media but have 100 followers and tweet once a month. If you were building the ultimate bionic Six-Million Dollar CMO in technology, what would that person look like in terms of education, attitude, skills etc? The answer would differ radically depending on the industry and the company. I’ll tell you what would be on the bottom of the list: an MBA, a consulting background, and an agency background. None of these are conducive to great marketing. What about your current role? How’s that going? I’m currently the chief evangelist (I haven’t used this title since Apple!) of a company called Canva. This is an online, graphics-design company that’s democratising design the way Apple democratised computers, eBay democratised commerce, and Google democratised information. So far, so good — we’ve attracted over 500,000 customers in ten months. I’ll be at Canva for a while. I have no plans beyond that, but this isn’t unexpected because I’m not a planner. I’m a doer.